Draft: 2014, Seattle Mariners, 1st rd. Split the season between Triple-A Gwinnett and Double-A Mississippi, hitting a combined .201 with eight home runs and a .647 OPS in 99 games ... Began the season with the M-Braves before joining the Stripers on 7/15…Hit .200 (45-for-225) with five home runs in 64 Double-A games ... Finished the season with the Stripers, making his Triple-A debut on 7/16 vs. Indianapolis ... Went 4-for-31 (.129) against Triple-A lefties…Hit .234 (18-for-77) against righties at that level ... Threw out 24 of 84 combined base stealers (28.6%) ... Added to the 40-man roster on 11/2. Split the season between Single-A Florida and Double-A Mississippi in his first season in the Braves organization…Earned mid-season All-Star honors while with the Fire Frogs…Also named by Baseball America as a High Class-A All-Star...Moved back behind the plate after playing the outfield during his time in Seattle's organization... Caught in high school...Combined to hit .267 (98-for-367) with a career-best 19 home runs and 65 RBI despite missing a month (5/19-6/19) with a left wrist sprain…His 19 home runs were the fourth most by a Braves minor leaguer...Started the year with Florida, and hit .301 (46-for-153) with 10 home runs before injuring his wrist…Missed the All-Star game due to his injury...Made his Double-A debut on 7/30 and spent the remainder of the season with the M-Braves...Caught 16 of a combined 77 (21%) potential base stealers...Played for Peoria in the Arizona Fall League…Named to the AFL All-Prospect team after hitting .263 with five home runs and 16 RBI in 20 games. Played the full season with Single-A Clinton, where he led the team with 11 home runs ... Named the Mariners No. 1 prospect by Baseball America heading into the season. April 17, 2019 Atlanta Braves optioned C Alex Jackson to Gwinnett Stripers. April 7, 2019 Atlanta Braves recalled C Alex Jackson from Gwinnett Stripers. March 12, 2019 Atlanta Braves optioned C Alex Jackson to Gwinnett Stripers. November 20, 2018 Atlanta Braves selected the contract of Alex Jackson from Gwinnett Stripers. July 15, 2018 C Alex Jackson assigned to Gwinnett Stripers from Mississippi Braves. January 26, 2018 Atlanta Braves invited non-roster C Alex Jackson to spring training. July 30, 2017 C Alex Jackson assigned to Mississippi Braves from Florida Fire Frogs. June 19, 2017 Florida Fire Frogs activated C Alex Jackson from the 7-day disabled list. May 19, 2017 Florida Fire Frogs placed C Alex Jackson on the 7-day disabled list. April 4, 2017 C Alex Jackson assigned to Florida Fire Frogs from Rome Braves. November 28, 2016 OF Alex Jackson assigned to Rome Braves. May 19, 2016 RF Alex Jackson assigned to Clinton LumberKings from Everett AquaSox. March 19, 2016 RF Alex Jackson assigned to Seattle Mariners. August 8, 2015 RF Alex Jackson assigned to Everett AquaSox from Clinton LumberKings. July 31, 2015 RF Alex Jackson assigned to Clinton LumberKings from Everett AquaSox. April 7, 2015 RF Alex Jackson assigned to Clinton LumberKings from AZL Mariners. 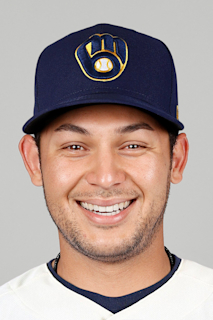 March 19, 2015 OF Alex Jackson assigned to Seattle Mariners. June 24, 2014 RF Alex Jackson assigned to AZL Mariners. June 23, 2014 Seattle Mariners signed C Alex Jackson.